Ted Banfield’s Isle Of Dreams Saved His Life. Isle of Dreams - a Remarkable Lifestyle on a Beautiful Tropical Island. We sped away from the coconut-fringed, golden beaches of Mission Beach, two hours drive south of Cairns Australia, banging into the jolting waves and hanging on grimly. I had just been soaked to the waist as we climbed aboard our water taxi; flapping, wet jeans are not comfortable in stiff breezes and I was already thinking nostalgically of the old ferry that used to ply between the mainland and Dunk Island, our morning’s destination. I have made many trips to this 'Isle of Dreams', a jewel strung into a necklace of sparkling tropical islands that adorn the edge of this tropical coast. Its beauty never tires – from the turquoise waters of Brammo Bay with tiny Purtoboi Island sitting out a little way and sheltering a few visiting yachts, or maybe a prawn trawler, to the towering mountains and encircling jungle paths. But it is the romance of the story of Ted Banfield, the first white settler on the island, that I find intriguing and which colours my view of this special place. 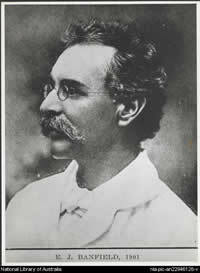 A journalist and sub-editor with the Townsville Bulletin in the late 1800s, EJ Banfield had previously worked for his father, who owned a newspaper in Ararat, Victoria. He appears to have been a conscientious writer, good at his job, but suffered ill health for some years, culminating in his resignation from the newspaper after his doctor insisted that he should find a place of peace and quiet or face an early death. One can imagine that the stress of meeting deadlines for the newspaper could have contributed to what appears to have been a nervous breakdown of some sort. Banfield was then in his early forties. Several years previously he had visited Scotland where he met and married Bertha, who was to be his loving companion for the rest of his life. So he set off north, seeking a place of peace and tranquility on the largely unpopulated tropical coast. The area had been explored by Edward Kennedy in the mid 1800s, en route to Cape York, where he was speared to death by aborigines. 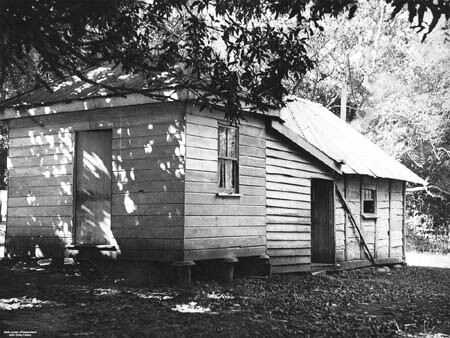 A few little settlements were subsequently established at ports (Cardwell and Innisfail) and inland at the goldfields. Roads were mere tracks and this was a period when swaggies ‘humped their bluey’ (carried their bedding and worldly possessions) or pushed rough, wooden wheelbarrows laden with tools, food and their swag hundreds of miles through scrub in their quest for riches. But Banfield was on a journey seeking a different kind of wealth, an enrichment of the soul. He was intelligent, educated, a hard worker, practical, spirited, adventurous, tolerant and, above all, a writer. Add to this list of skills and personal traits his great interest in the natural world, his interest in tropical rainforest plants, tropical fish species and a self-sufficient lifestyle and it is easy to imagine how life on a tropical island would yield much to occupy his attention. In 1896 he and Bertha visited Dunk Island, so named by Captain James Cook on his voyage of discovery in 1770, and were entranced. After returning to Townsville they arranged a thirty year lease of 320 acres on the island (named Coonaglebah by its first, indigenous inhabitants), overlooking Brammo Bay and the mainland. He was later to purchase a total of 400 acres, eventually willed, as he and Bertha had no children, to his great friend and mentor, Spenser McTaggart Hopkins. 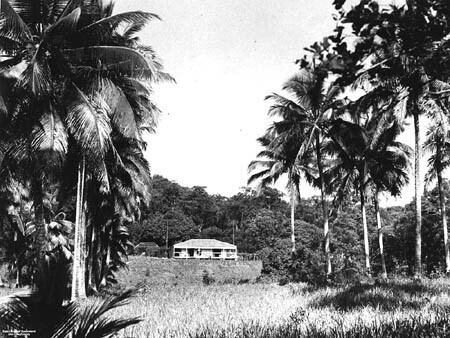 Subsequently 360 acres of the land was sold to the owners of the first tropical island resort to be built on his 'isle of dreams', more or less in the same position, just back from the beach, as Ted and Bertha’s house had been. NB - December 2011 The resort that was subsequently built and up-graded over the years was, unfortunately, completely wrecked during Cyclone Yasi that battered the coast in February 2011. Following this catastrophic event Dunk Island was sold, a great relief to all those on the mainland, who depend on Tourism for their livelihood. Banfield built a rough house, then another more substantial and gracious one, on his isle of dreams, overlooking the sweep of Brammo Bay. In Townsville he had previously employed a housekeeper, Ettie, who now moved to Dunk and became part of their family. He then busied himself with establishing an orchard, a vegetable garden, rearing goats and cattle and keeping bees. 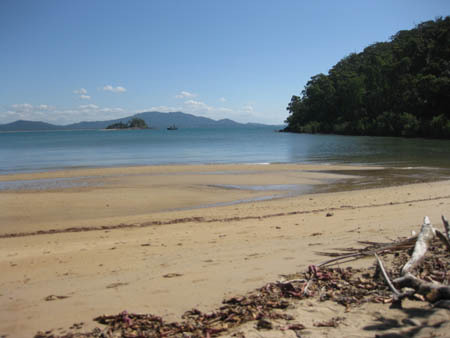 Fish were plentiful and he had the assistance of some of the island’s original aboriginal inhabitants, most of whom were later rounded up by authorities and sent to the Hull River Aboriginal Settlement (‘the mission’) on the mainland, just across from Coonanglebah (Dunk Island). 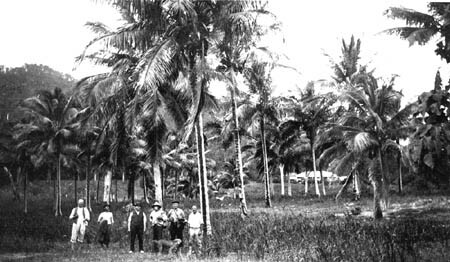 The terrible tropical cyclone of 1918 destroyed that settlement, established, so it is written, to solve the 'opium problem', introduced by Chinese immigrants to the aboriginal population. As many as one hundred people were killed by tidal surges or flying debris and the ‘mission’ was never re-opened, its residents being re-located to the notorious penal settlement at Palm Island. Ted Banfield was later to describe the island as his “Isle of Dreams – this unkempt, unrestrained garden where the centuries gaze upon perpetual summer”. Once practical matters of housing and food had been attended to, Banfield set about indulging his great sense of curiosity in the natural world. Although he enjoyed his scientific studies of tropical rainforest plants, the fish, ocean currents and the prolific number of tropical birds on the island, it was serious work for him and he maintained a steady correspondence with naturalists around the world. 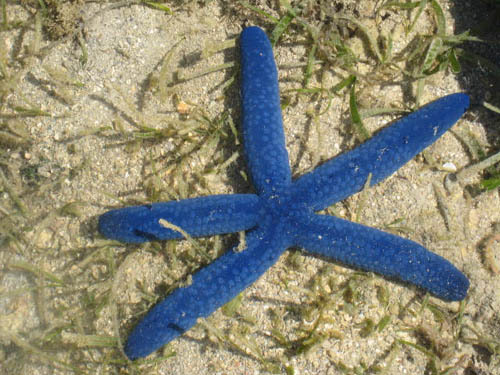 He catalogued tropical fish species, plants, animals and birds and observed their habits so that, nowadays, comparisons may be made and trends deduced by comparing, for example, ocean current observations with those made by him over a hundred years ago.